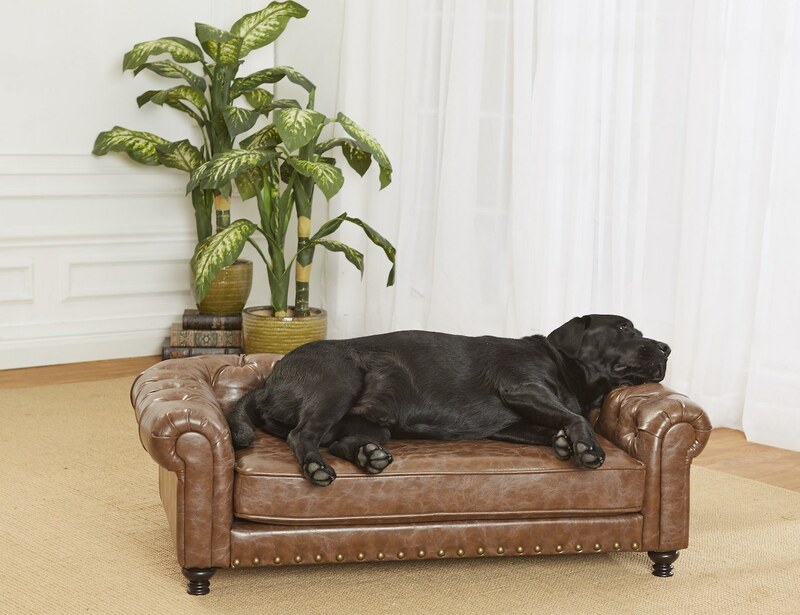 Let your pooch live the life of luxury with the Wentworth Tufted Dog Sofa. This dog bed will fit right in with your interior décor. 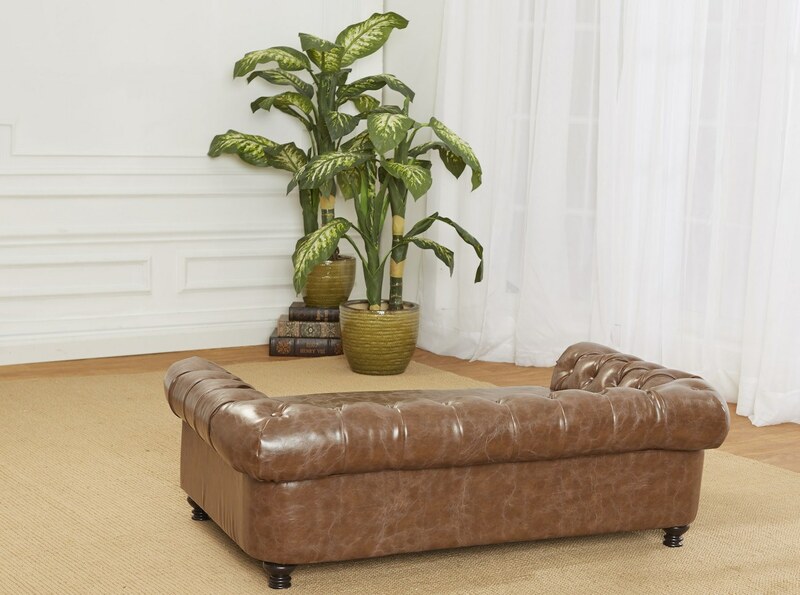 Let your pooch live the life of luxury with the Wentworth Tufted Dog Sofa. Coming with a comfy cushion, this dog bed will fit right in with your interior décor. This dog bed is suitable for pets up to 60lbs. The arms on this sofa are raised which helps for those dogs who like to lean and curl while sleeping. 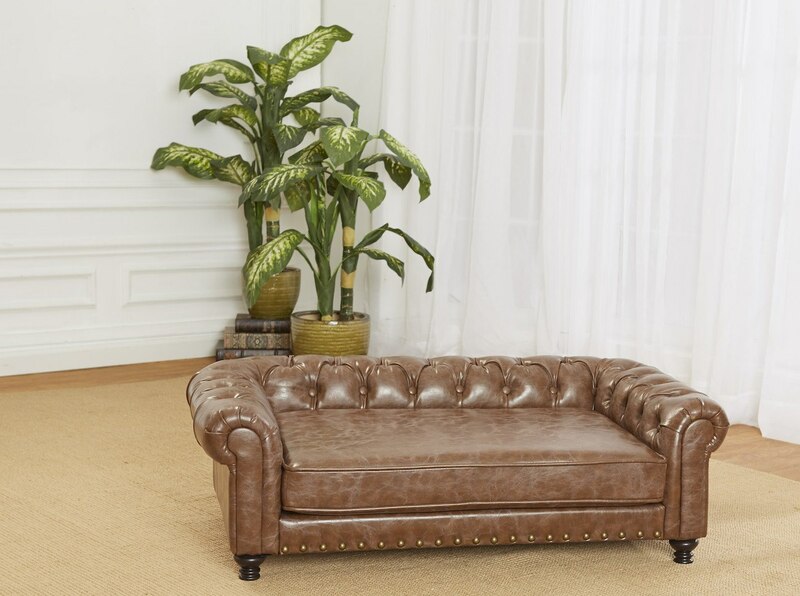 Featuring faux leather, the Wentworth Tufted Dog Sofa has a stunning aesthetic. 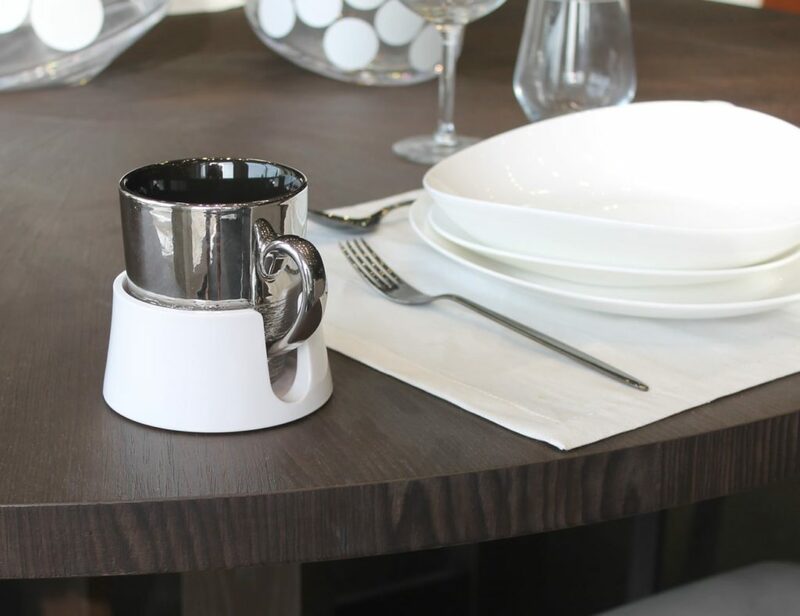 In addition, this material is also super easy to clean as all it takes is a simple wipe. 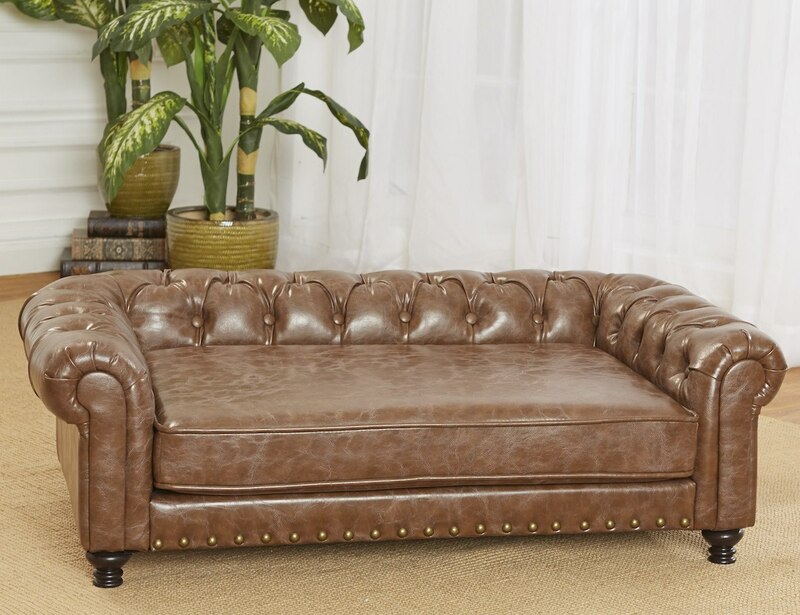 Looking just like a real sofa, the Wentworth is tufted and has rolled arms for a traditional design. It has beautiful finishing touches such as brasstone nailhead trim and a furniture grade construction. 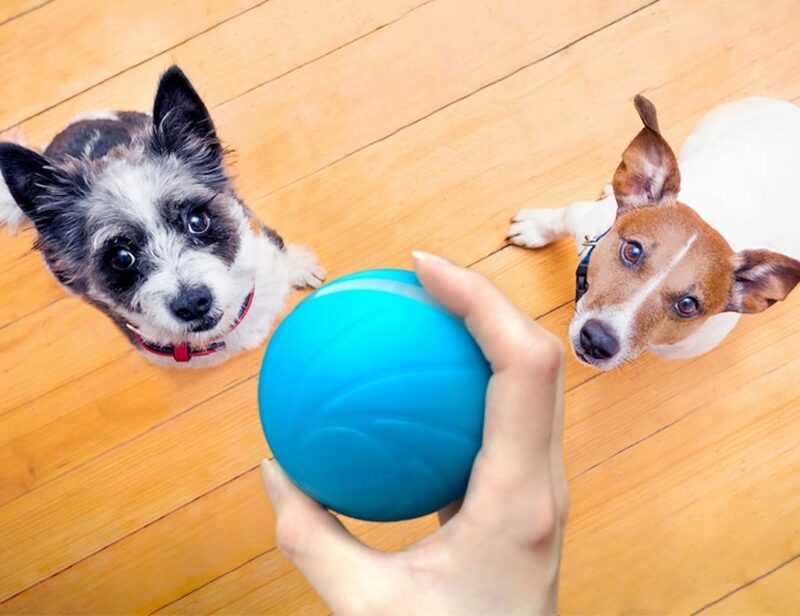 Finally, it’s complete with a solid foam cushion so your pooch can get some much-needed rest.